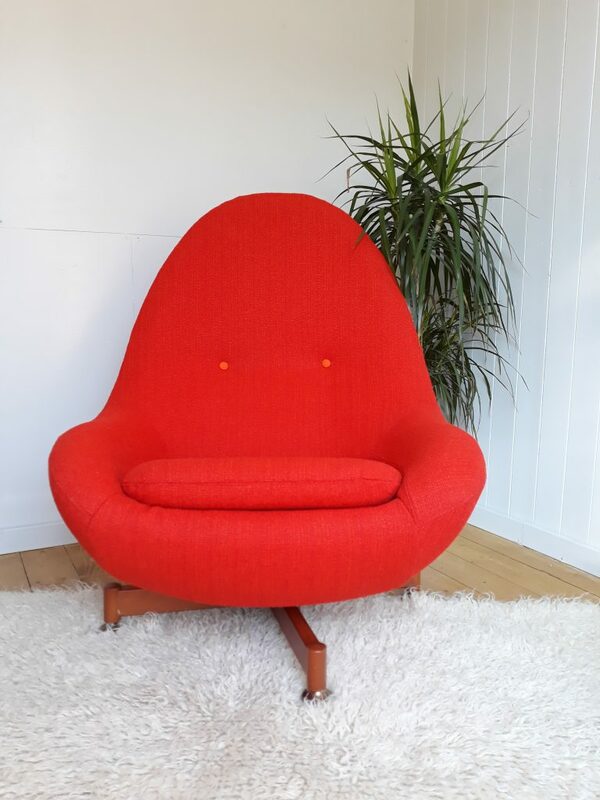 This is an original Greaves and Thomas swivel egg chair, a design classic. It would make an amazing statement piece in any room. It’s been completely rebuilt, replacing all the nasty old 60’s foam and fillings, so it now meets current Fire Safety Regulations. 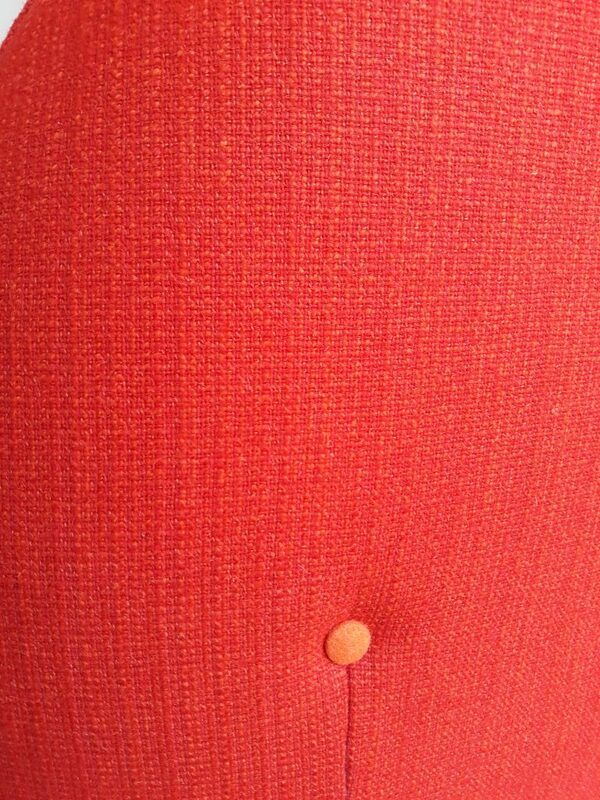 It’s finished in a top quality 100% wool boucle fabric in a stunning red/tangerine colourway- warm and inviting. The swivel mechanism is super smooth. 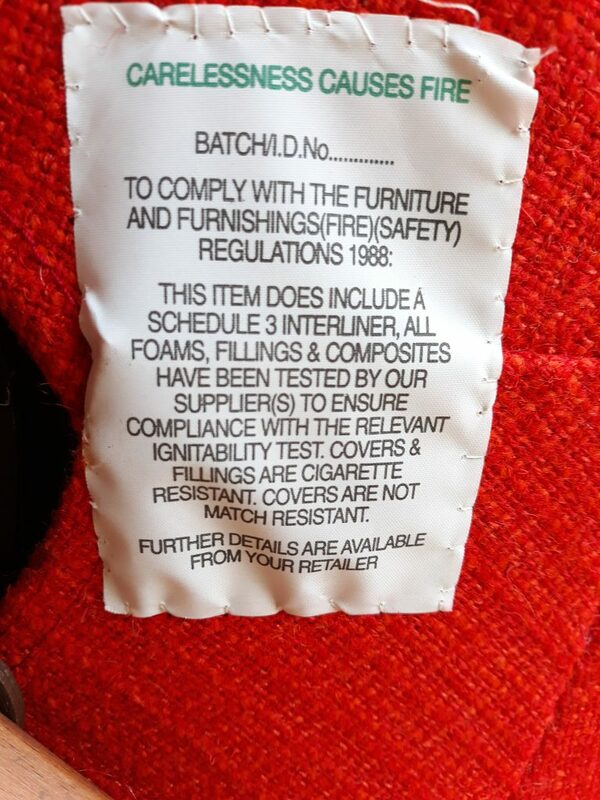 It’s really comfortable and, after this new lease of life, it will provide joy for years to come. Curl up and read a book! 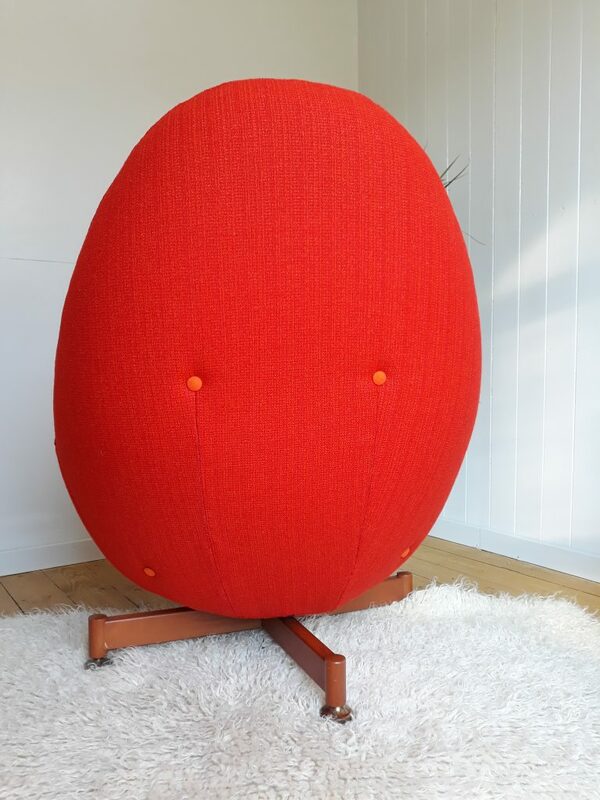 I have a similar Greaves & Thomas egg chair, ready for re-upholstery. 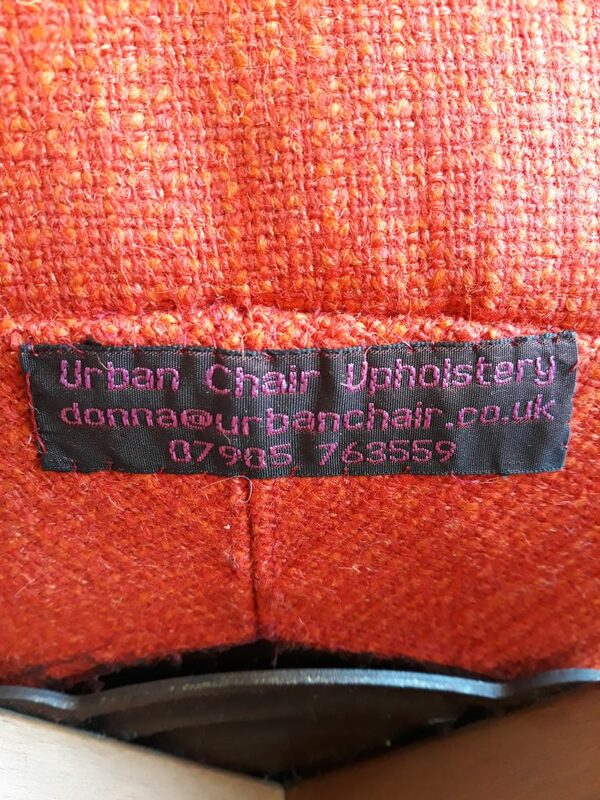 Get in touch if you’d like to buy it and have your own choice of top fabric. Please use this to get in touch. I’ll get back to you very shortly! 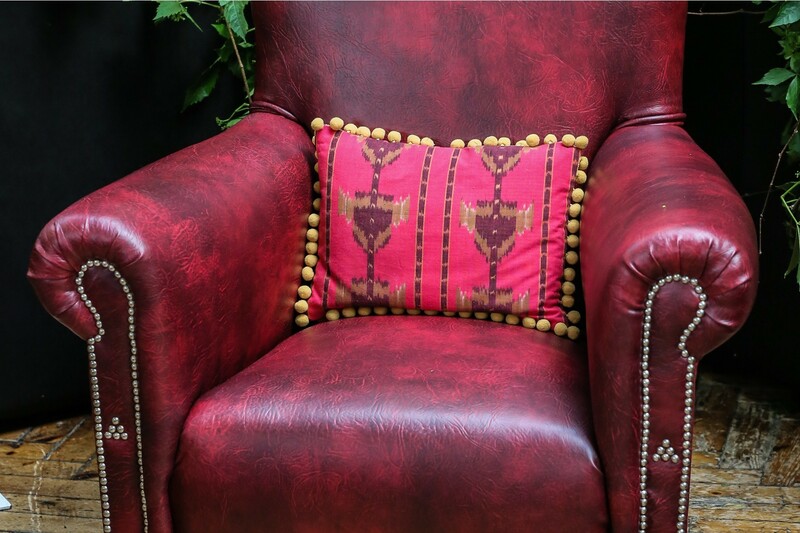 Zero to Hero Moroccan Chair! 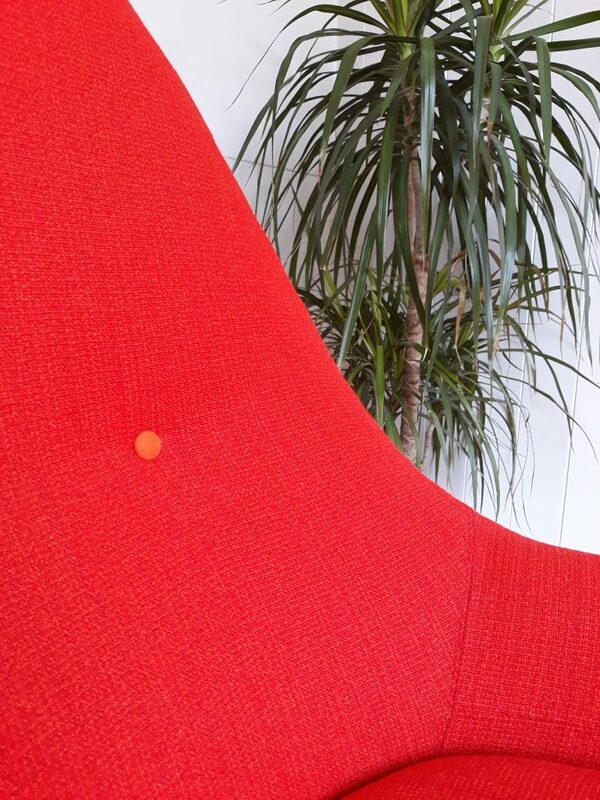 Copyright © 2019 Urban Chair. All Rights Reserved. The Arcade Basic Theme by bavotasan.com.